The Poem Farm: What is it to SHOW not TELL? What is it to SHOW not TELL? 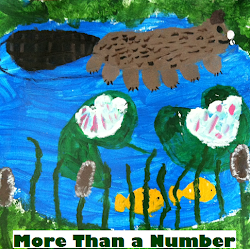 Students - This past Tuesday, I had the good fortune to write together with third graders in Holland, NY. We read the following poems, each of which included comparisons - similes (comparisons which use the word like or as) and metaphors (comparisons which in a way turn one thing into another, with no use of like or as). We talked about which comparisons we most admired. For example, Smith's toaster is compared to a dragon throughout his poem and Dotlich compares sunflowers to plates and giants and guards and kings. After this, we thought about animals and objects we might compare to other things....and we played with our own comparisons in our notebooks. I ended up writing first draft of the poem above. Comparing things to other things - using metaphors and similes in our writing - is one way to show and not tell, one way to give readers another picture in their minds...a picture they can see or smell or feel or hear. You might wish to try this. Look something and imagine how it is like another something. Make a list of what it reminds you of. One such comparison may make its way into your own poem or story or informational writing. Writers of all different genres use this technique and readers very much enjoy reading fresh metaphors and similes. 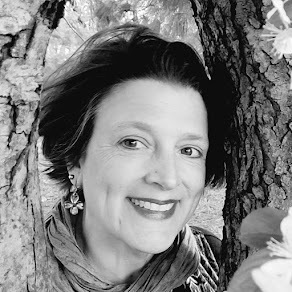 I am very lucky this week to welcome Second Grade teacher Darlene Daley and her young poets from Canandaigua Primary - Elementary School in Canandaigua, NY. Last October, I had the opportunity to visit this school (so much fun!) and to meet Darlene's students. We chatted for a little bit, all surrounded by hundreds and hundreds of the most beautiful books. Their classroom feels like a well-loved library. Darlene and her writers generously offered to share one way they have explored showing rather than telling in their writing - with both narrative and poetry. Enjoy this celebration of words...and I encourage you to try this work yourself. If you do....and if you wish to be connected with these students, please just let me know. Perhaps you can celebrate and share between schools. Reading these stories and poems, I am reminded of another teacher I once knew who did something similar, only asking students to guess the feelings from the writing. I know that with these poems above, it would be very easy to guess the feelings...even without the words tired, nervous, sick, proud, shy, or hungry. This is because the poets show the feelings by writing with their senses, strong verbs, dialogue, and descriptive language. One thousand hugs to Darlene and to these poets for offering us this look into their process and for allowing me to celebrate their narrative and their poems here! If you missed last week's post by Reading Specialist and Leader in Me Teacher Alicia McKenrick, showcasing young poet artists using jewelers loupes to study their fingerprints (The Private Eye), please do check it out. Beautiful! I am grateful to have a space to shine a light on the work of teachers and young writers and welcome classes who wish to share interesting poetry work Poem Farm readers to do so. 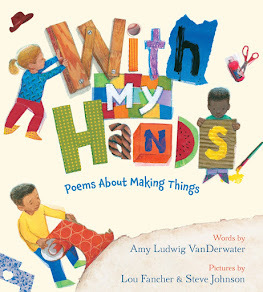 Laura is hosting today's Poetry Friday roundup at Writing the World for Kids with a sneak peek into the words of her wonderful new picture book, MEET MY FAMILY. Each week, we gather our posts together at one blog, so if you visit Laura this week...you will be introduced to many new poets and blogs and books. A sweet little poem, Amy - and a perfectly-sized example for students to learn how to show feeling. Congratulations again on all your successes! I love your poem, Amy, wondering when we might find a way to welcome all children to feel like a "match" for someone. The poems the class shared are so varied and full of feelings. Wonderful to see what happens when kids get a chance at poetry! Amy, I love this lesson connecting comparisons to showing. Recognize and adore several of the sample poems you used:>) Was just thinking of Rebecca's sunflowers recently because I wrote a sunflower poem example at my Young Authors Conference and someone else had a sunflower today in the roundup. Lemonade Sun (at least, I think that's the collection it's from) is awesome! And your poem is pitch-perfect! How wonderful to see the student work. I like Caroline's poem and how she used simile to explain her thoughts. As for your poem, shall I paste it to my washing machine that seems to eat up one sock one week at a time? Seriously, lonely is a hard place for children. Your poem describes that. Wonderful poem, Amy! And thank you for sharing Darlene Daley's slides and her students' amazing poetry. I can't wait to share this post with my colleagues. Thank you, as always, for being such an inspiration! A sweet simple poem that recognizes the big feelings all of us experience. Thank you for sharing. 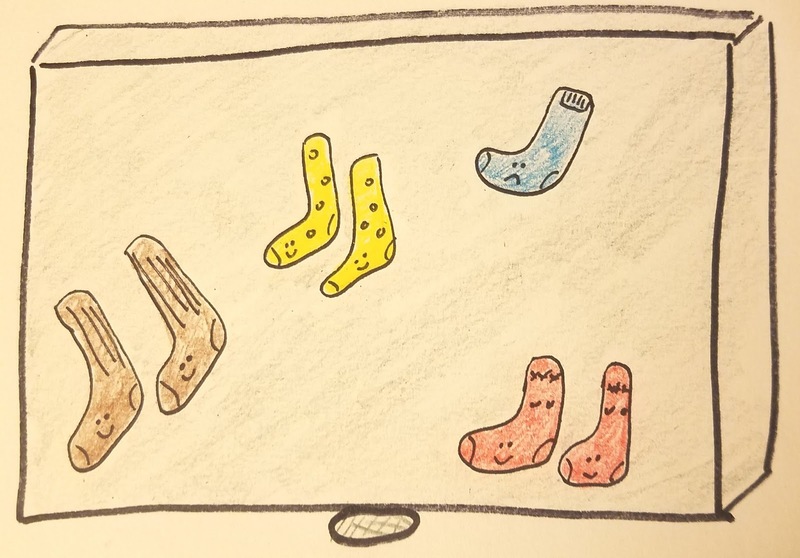 Oh, Amy, I love your sock poem. Simple but powerful metaphor... 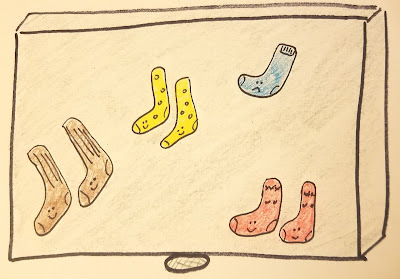 I thought how frustrating a lost sock is ...and... how frustrating the missing of someone can also be. Thanks for the classroom / student writing connection. I really enjoy hearing you read your poems. 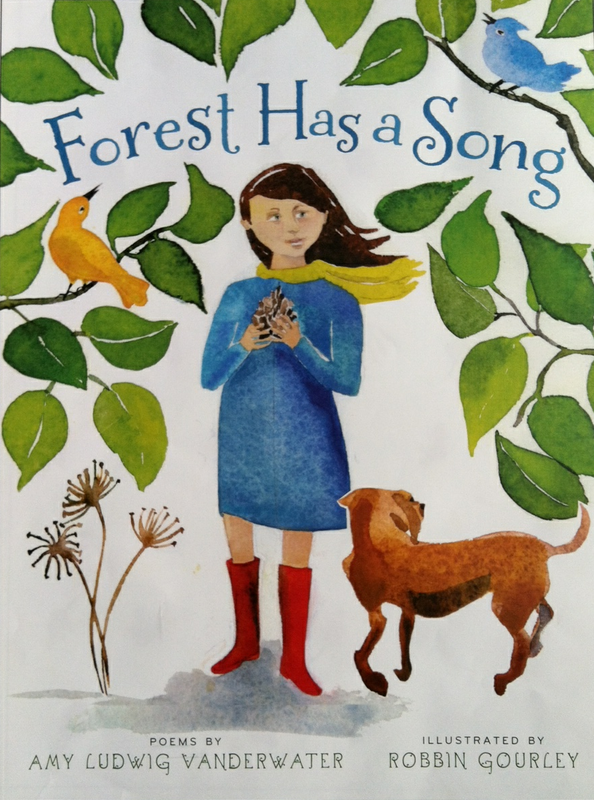 Love the poem--and the lesson on similes and metaphors to show instead of tell. Such a touching poem, Amy. 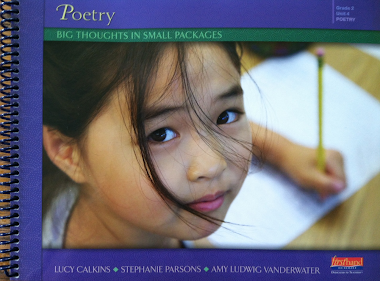 And I loved reading about Ms. Daley's self-guided poetry adventure! Those kids are sharp! Thanks for sharing all these touching poems by your students Amy, I love Owen's poem "tired," about his Mom! I like your poem"Since You Moved," and I also think it would make a good picture book.